Just in time for Christmas, ChurchDays has published a new feature on churches that appear in the life and works of Charles Dickens. They include the originals of locations such as the churchyard in which the convict Magwitch first meets Pip in Great Expectations. St Bartholomew, Tong in Shropshire is where in 1910, the verger decided to put a false entry into the burial records and create a fake grave in his churchyard to record the death of Little Nell from Dickens’ novel The Old Curiosity Shop believing that doing so would bring more visitors. 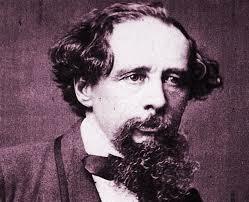 Also featured are the churches in which Dickens was himself baptised, married, and buried. For instance, St Luke’s Church, Chelsea where Dickens married Catherine Hogarth in 1836.